FRANCE: The European Commission has approved French support measures for the construction of an express railway line between Paris and the Paris-Charles-de-Gaulle airport. The Commission received from France a notification of its plans to grant state aid to a joint venture between SNCF Réseau and Paris Aéroport, which will build and operate a direct express railway line between the Parisian train station Gare de l'Est and the Paris-Charles-de-Gaulle airport. The total estimated cost of the project is €1.32 billion, with the new 32 kilometre line expected to start operations in 2023. The aid will be provided in the form of a tax-free grant, to be financed by a levy imposed from 2024 on all air passengers using the Charles-de-Gaulle airport (except passengers in transit). In addition, a state guarantee type mechanism (known as "cession Dailly acceptée") will guarantee payment of the concessionaire's loans. SAUDI ARABIA: The Haramain Express Train has run a successful trip from King Abdullah City in Rabigh to Madinah at speeds of up to 300 kilometers per hour (km/h), Arab News reported. The project — which will connect Makkah and Madinah via Jeddah’s airport and King Abdullah Economic City in Rabigh — will be completed by the end of 2017, said the chairman of the Public Transport Authority, Rumaih bin Mohammed Al-Rumaih, who is also acting head of the Saudi Railways Organization (SRO). The 450km line is expected to cut travel between Mecca and Jeddah to 21 minutes, Jeddah to King Abdulaziz Airport to 14 minutes, King Abdulaziz Airport to Rabigh to 36 minutes and Rabigh to Madinah to 61 minutes. Saudi’s General Investment Fund (GIF) has financed and facilitated the implementation of the project. CANADA: Prime Minister Justin Trudeau has announced a federal investment of $1.283 billion from the long-term Investing in Canada infrastructure plan to support the Réseau électrique métropolitain (REM) light rail network in Montréal, connecting the airport with city centre. This announcement will make it possible to finalize the financing of the project and meet the construction schedule of the Caisse de dépôt et placement du Québec. The Prime Minister also announced that, once the Canada Infrastructure Bank is established, it will be possible for the Province of Quebec and the Caisse de dépôt et placement du Québec to identify the project as an opportunity for independent analysis and consideration by the Bank. If the Bank decides to move forward with an investment in the REM project, it will be possible for an investment to come from the Bank rather than Quebec’s transit allocation. Once completed, this new, automated light rail network will include 27 stations, span 67 kilometres, and operate 20 hours a day, 7 days a week. It will link Montréal’s downtown to the West Island, South Shore, North Shore, and Pierre Elliott Trudeau International Airport. “The REM is one of the most ambitious public transportation projects in our history. In addition to making it quicker and easier for millions of Quebec residents to get around, the REM will reduce the number of cars on the roads, help ease traffic and make the air cleaner. The announcement today represents a big step toward improving the quality of life of Canadians and their families, creating good, well-paying jobs for the middle class and growing the economy,” Justin Trudeau said. 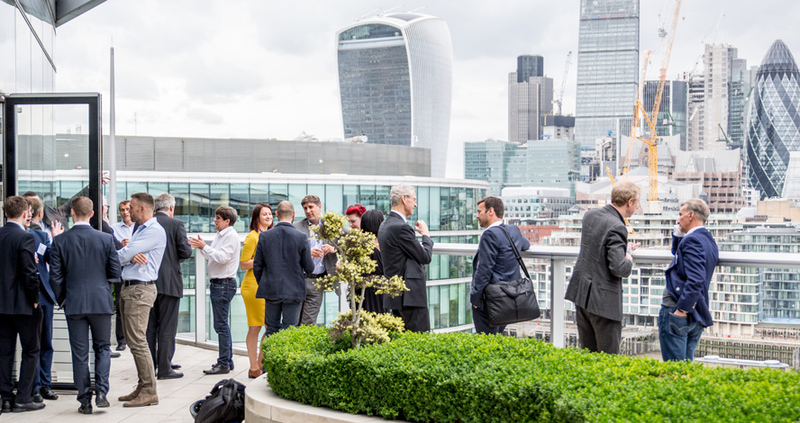 EVENTS: Global AirRail Alliance and global law firm Norton Rose Fulbright co-hosted the first Airport Access Ideas Forum in London on Wednesday 7th of June 2017. The interactive ideas forum focused on challenges and opportunities related to the provision of seamless access to national and international airports around the world, improving customer experience and reducing carbon emissions. Participants looked at how new technology and the sharing economy is changing road access and car parking businesses at airports, as well as opportunities for public transport and airport operators to form partnerships in order to deliver non-aeronautical revenue, improved customer experience and business development. “Airport Access Ideas Forum is bringing together professionals from the aviation and ground transport industries at the highest levels. The event format has taken an interactive shape to include all participants and to drive a more engaging discussion and product demonstrations,” Milda Manomaityte, Director of the Global AirRail Alliance said. The post event report with the summary of discussions and recommendations to the industry will be released shortly. Distribusion Technologies launched its partnership with CarTrawler to expand airport bus offerings for airlines. The one-time integration adds pre-bookable rides of more than 100 airport and intercity bus carriers to CarTrawler’s ancillary revenue platform and will be merchandised to multiple airlines and 2,000 online travel retail partners. Mozio recently launched its multimodal platform in Philadelphia, allowing individuals to compare, and book the airport rail line, on-demand, taxis, shuttles, and sedans all native on the same platform. It is the first major integration of public transit into the larger travel landscape. Mozio solicited the support of city leaders, the airport, the public transit agency, visitors’ bureau, and private suppliers. Munich Airport and Siemens have developed an information service for passengers travelling from city centre to the airport, directly to the gate – and vice versa. The service offers guidance and indication of expected processing times at the airport, traffic jams on the road or delays on public transport. The service is based on Siemens SiMobility Connect, enabling integration of multiple mobility services like taxi, train, car-sharing, Lufthansa Airport Bus as well as real-time information on traffic. Blackstone Gates has designed a global customer knowledge travel platform. This, together with smart data analytics, enables travel service providers a critical insight into a traveller’s preferences and context. Stanley Robotics has introduced France’s first automated valet service at Paris Charles de Gaulle Airport. No more wasting time finding a parking space. Passengers can drop off their cars close to the terminals, lock it and take the keys - the service does not need it. Once the car is ready, they just need to confirm the booking and Stan, the valet robot, comes to collect the vehicle and take it to a secure car park. Revolution Very Light Rail Vehicle project is developing a lighter, lower-cost, passenger friendly solution for linking heavy rail stations, airports and other hubs in the transport network to rural and suburban areas, in the first instance using segregated alignments to avoid inter-operability issues with conventional rail. ULTra Personal Rapid Transit is a centrally controlled synchronous system of light-weight guideway loops with offline stations, utilised by four-person, fully integrated, automated, battery-electric vehicles. It launched between Heathrow Terminal 5 and the Business Car Park in 2011. The system has been in full operation for over six years. Over 1.5 million journeys have carried over 2.3 million passengers. A rail link between London Waterloo Station and Heathrow Airport has been on the Government’s major project radar for half a century. The difference between this proposal and all others which have come before, or come since: this is a regeneration project, not a rail link project. The London Borough of Hounslow commissioned WSP for a feasibility study for the southern rail access link. Since acquiring London Southend Airport, Stobart Group has invested over £140 million to transform it from a small regional operation catering for just 47,000 passengers annually, into a facility with capacity for five million annual passengers that has won Which? UK’s award for customer satisfaction three years running. Rail Baltic is a high-speed railway project linking Tallinn (Estonia), Riga (Latvia) and Kaunas (Lithuania) to the Polish border, thus providing access to the 1435mm standard gauge railway network in continental Europe. This is part of the TEN-T North Sea-Baltic transport corridor to be completed after 2025. The first step towards the implementation of this project is the soon-to-be completed light rail/tram access to Tallinn Airport, scheduled to open for in August/September 2017. Urban turbine is aiming to reduce the un-manned travel to and from airports by establishing a variety of innovative public transport systems and offering alternative uses for airports. This includes new job definitions and forms of their execution. Future sustainable cities will need to be built around efficient transport infrastructure. Environmental strategies and planning authority policies will become increasingly important if we are to achieve sustainable growth. Cities will be more attuned with nature, incorporating extensive natural landscape, reducing energy, water consumption and enhancing bio diversity. To become a Major East London transport hub London City Airport needs to create an interchange for international, national and local travel for people in London and the South-East. The Silvertown Crossrail station supports the Mayor’s vision for strategic growth by maximising the regeneration potential of the Royal Docks Area as well as providing faster links to key London employment areas, and unlocking more land for homes and businesses. The Global AirRail Alliance (GARA) is an international organisation that joins rail operators, airports, airlines and suppliers from around the world who work on creating seamless travel experience between air and rail. Global AirRail Alliance was set up to deliver dedicated, information and international events for the air-rail market mainly focusing on integration of rail with airports, recognising global trends in seamless travel infrastructure and information. 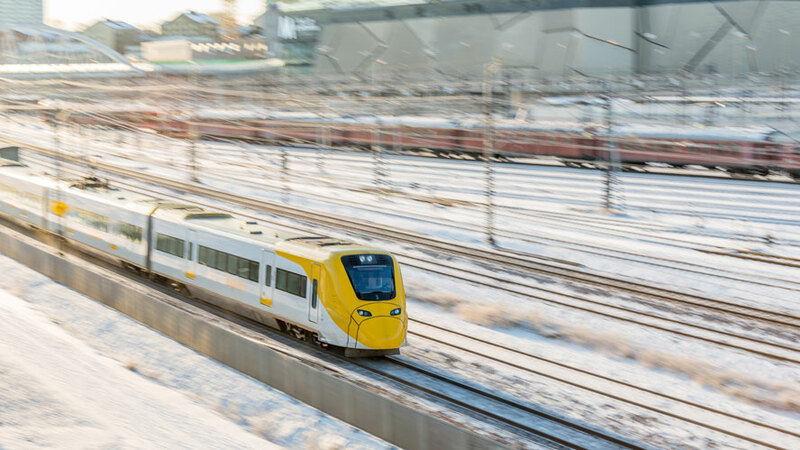 The air-rail market is a leader in innovation and partnerships creating seamless travel, integrating different transport modes, innovating in e-ticketing and passenger information systems. Norton Rose Fulbright will combine with Chadbourne & Parke, a leading international law firm, during the second quarter of 2017. Norton Rose Fulbright's expanded practice will have more than 1000 lawyers in the US and 4000 lawyers worldwide. Norton Rose Fulbright Verein, a Swiss verein, helps coordinate the activities of Norton Rose Fulbright members but does not itself provide legal services to clients. Norton Rose Fulbright has offices in more than 50 cities worldwide, including London, Houston, Toronto, Sydney and Johannesburg. For more information, see nortonrosefulbright.com/legal-notices. UK: The High Court has ruled in favour of the Office or Road and Rail (ORR) agreeing that Heathrow Airport Limited (HAL) is not permitted to introduce all of its proposed new charges for train operators to use its track, which links Heathrow Airport to the Great Western main line. 20 years ago, Heathrow Airport has spent £1bn building the five-mile rail link connecting Heathrow Express to the Great Western mainline. Four Crossrail trains an hour will run between Paddington and Heathrow Terminals 2 and 4, replacing Heathrow Connect trains from May 2018. HAL has proposed that each Crossrail train should pay a levy or toll for the use of its track and stations serving the airport. ORR had decided Heathrow couldn’t charge trains for using the line, saying it would cost around £42m a year. Heathrow Airport Limited then launched a judicial review of this decision and after a three day hearing, the High Court has dismissed airport’s application and uphold ORR’s decision. OPINION: The theme of the recent UITP Transport Summit which took place in Montreal was ‘Lead the Transition’ and whilst there were some excellent presentations and workshops where this was at the helm, Montreal itself has some work to do to make their own transport network work more collaboratively. The Montreal Metro System (inspired by the Paris Metro) was inaugurated in 1966. It is therefore surprising, that there is still no metro service linking the airport to downtown Montreal. A Blue Line extension has been proposed and has been in the pipeline for several years and is still a priority for the Mayor of Montreal and Société de transport de Montréal (STM). However, this proposal faces conflicting budget and political pressure from the Federal Government with their preferred priority of a light rail line. 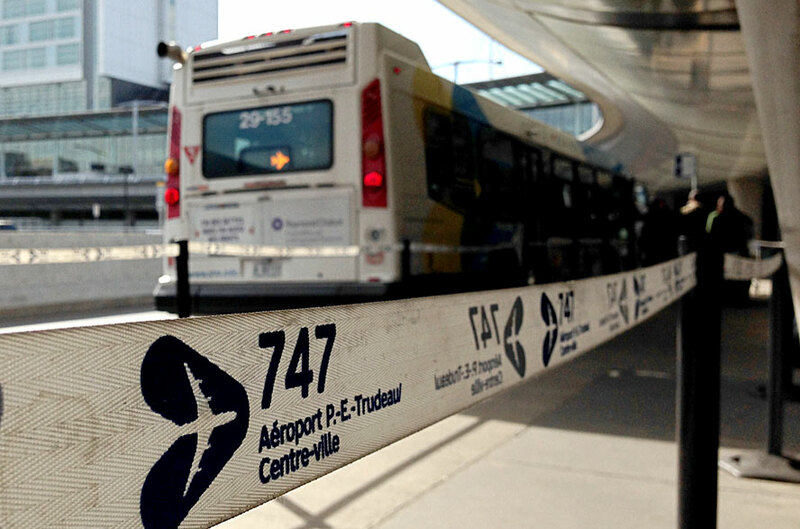 Therefore, alighting passengers at the airport requiring public transport into downtown Montreal are faced with a single option of the regular 747 bus. Whilst this operates on a 24/7 basis for a flat fee of $10, it seems a somewhat inefficient and rudimentary option of transportation, if compared to other major international cities. The bus must negotiate its journey into town via an already congested road network and therefore can take between 45-60 minutes, for what is a distance of only 9 miles. Taxis are a rather expensive option at a fixed fare of $40 so the demand for the 747 buses is high, but this does not give visitors a very good first impression to Montreal’s transport system or the city for that matter. It is hard to think of any other major cities where the city centres are not connected to the airport via some type of rail system. Montreal needs to bite the bullet and extend the metro, not at the expense of the alternative mass transit system but as a pre-cursor and, subsequently, as a complementary option. To make this happen, there needs to be alignment between federal and local government to agree on a joined-up plan that will allow both options to be funded and developed within their own differing timescales, synergising where appropriate. AUSTRALIA: The Forrestfield-Airport Link is a step closer to reality with a construction site now established and work underway at the Airport Central Station. The construction site at the Perth Airport, located near the control tower, will be ready for the tunnel boring machine to start travelling through in early 2018. The tunnel boring machine will first break ground in Forrestfield in late July, starting its two-year journey to Bayswater. Three new stations will be built as part of the new rail link - Belmont Station, Airport Central Station and Forrestfield Station. Perth Airport users will have access to a direct 18-minute train journey to the central business district. The works at Perth Airport coincide with the release of artist impressions of Airport Central Station. The underground station has been designed to create a seamless journey to the airport terminals via an elevated walkway. The station has a striking roof shape inspired by the aerodynamic features of aircraft with ample natural light to the concourse and platform levels. The Forrestfield-Airport Link project is closely aligned with Perth Airport's redevelopment plans to consolidate the domestic and international airport terminals. Works have begun at the airport to construct the underground station box structure adjacent to the existing airport control tower. Like most stations on the Transperth network, the station will have lifts, stairs, escalators, toilets, ticketing and information services, a kiosk and customer service staff. The Forrestfield-Airport Link is expected to be completed in late 2020. MALAYSIA: KLIA Ekspres was awarded the Outstanding Green Air Rail Transport by the Malaysia Canada Business Council (MCBC). The Business Excellence Award Gala Dinner was held in conjunction with MCBC’s 25th Anniversary to honour and recognise industry leaders and influential entrepreneurs in bilateral and global commerce. The award was presented by Deputy Minister of International Trade, YB Datuk Chua Tee Yong and witnessed by Her Excellency Judith St George, the High Commissioner for Canada. 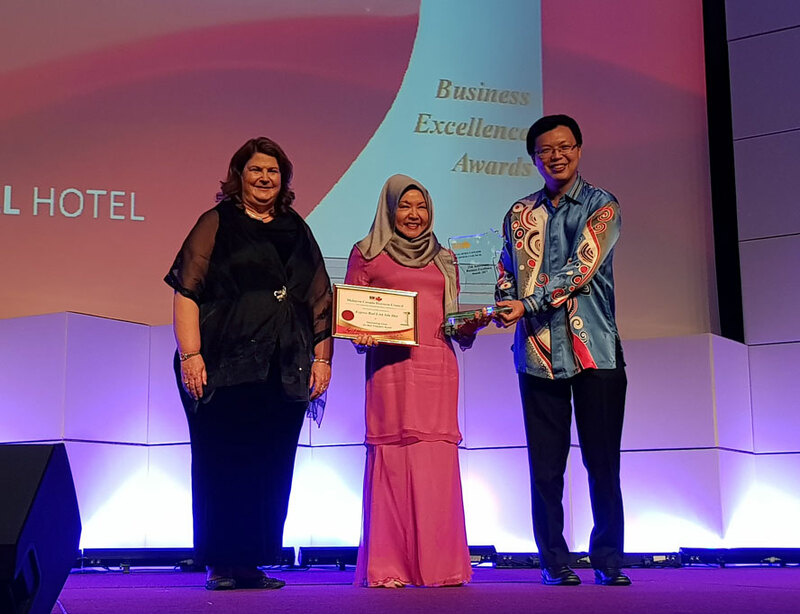 Accepting the award on behalf of ERL was the Chief Executive Officer, Noormah Mohd Noor. “We are thrilled that KLIA Ekspres is positively recognised for its green contribution in the transport industry. This award is a testament to our ongoing commitment in complying with the Environmental Management System,” said Noormah at the Gala Dinner. “We would also like to thank our passengers for their continuous support and trusting KLIA Ekspres as their preferred mode of transfer. Our passengers also reduce their carbon footprint when they choose to travel on KLIA Ekspres,” Noormah said. Every year, passengers help save 44,800 tonnes of carbon dioxide (CO2) emissions when they travel by KLIA Ekspres. ERL’s wholly-owned operations and maintenance company, ERL Maintenance Support Sdn Bhd has been certified ISO 14001:2004 compliant for Environmental Management System. The operations of KLIA Ekspres are also in compliance with the country’s Environmental Quality Act 1974. This recent recognition will help KLIA Ekspres educate the public on how trains are among the most environmentally sustainable transportation mode. CANADA: Premier of Ontario Kathleen Wynne has announced that the province is moving forward with the preliminary design work on the speed rail along the Toronto-Windsor corridor and is investing $15 million in a comprehensive environmental assessment. Ontario will establish a new governing body to oversee the ambitious work required to design and implement high speed rail. The announcement comes as the province releases a new report by David Collenette, Ontario's Special Advisor on high speed rail. In 2015, Collenette was asked to assess the project's feasibility. After extensive consultations, his report has concluded that there is a business case for high speed rail along the Toronto-Windsor corridor and that there are opportunities to engage the private sector in financing and delivering the project. High speed rail could cut travel times between Toronto and Windsor from four hours to just over two. 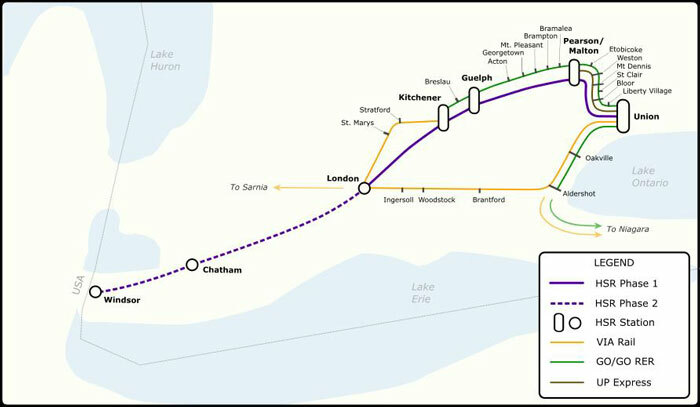 Proposed stops on the new HSR line include Windsor, Chatham, London, Kitchener-Waterloo, Guelph and Toronto, with a connection to Pearson International Airport. The report recommends connecting Pearson International Airport to the high speed rail via expanded Malton GO Station, which will be linked to the airport terminals via people-mover system. "The GTAA is very pleased to see the government moving ahead with this important initiative given the benefits that a link to Toronto Pearson would bring," said Howard Eng, Greater Toronto Airports Authority President and CEO. "A high-speed rail service along this corridor would provide vital regional connections and help to relieve the congestion that today is stifling our economy and impacting the quality of life for all Ontarians. It could also be a key building block in support of Toronto Pearson's mega hub vision and would move us one step closer to making an integrated regional transit centre at Toronto Pearson a reality." In early 2016, the GTAA announced plans to develop a regional transit centre to connect the airport area to key employment and residential areas throughout the Greater Golden Horseshoe. 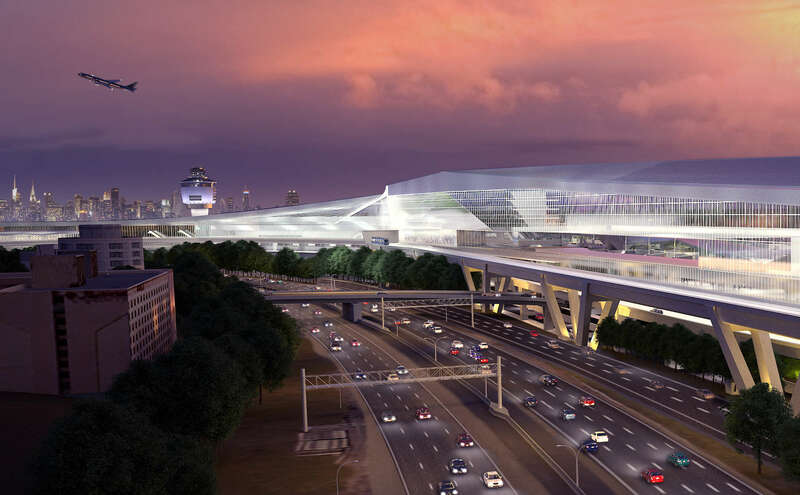 In addition to serving as a connector for airport passengers to surrounding regions, the transit centre at Toronto Pearson would provide crucial connectivity to the 300,000 workers in the Airport Employment Zone, the second-largest employment area in the country. A request for bids for the design required to support the Environmental Assessment for the full length of the Toronto-Windsor corridor will be issued this fall. USA: NY Governor Andrew M. Cuomo has announced the Port Authority of New York and New Jersey (PANYNJ) selected WSP (former WSP | Parsons Brinckerhoff) to conduct preliminary engineering and other planning work for a new AirTrain connection to LaGuardia Airport. The firm’s work will take a major step forward in advancing the LaGuardia AirTrain project – which will create a much-needed rail link to the airport. The LaGuardia AirTrain will serve a high-tech three-station complex at Willets Point. The station complex will create a seamless transfer for passengers between completely new LIRR and 7-line subway stations to be built over the next five years at Willets Point and the new AirTrain stop. WSP’s mandate is to develop plans and to engineer the easiest possible transfer of MTA passengers with luggage to and from the AirTrain. The LaGuardia AirTrain link with the LIRR will provide a guaranteed 30-minute ride to the airport from Midtown Manhattan’s two rail hubs – Grand Central and Penn Stations – as well as access to commuters coming from Long Island. Port Authority Executive Director Pat Foye said, "LaGuardia Airport is the only major airport in the region without direct rail transit access. With passenger demand expected to reach 34 million annually at LaGuardia by 2030, providing mass transit access to the airport is fundamental to transforming it into a world-class facility that supports future growth, while reducing roadway congestion and resulting emissions." WSP will analyze and assess alignment alternatives, conduct a geotechnical review, create a conceptual design for both the train right-of-way and the stations, and develop cost estimates for the project. As part of the planning work, the firm also will conduct a detailed ridership analysis, analyze public-private partnerships and other options to identify the most advantageous financing plan for the AirTrain, as well as evaluate expanded parking and centralized car rental operations at a new Willets Point station complex. Reliable and efficient rail service to and from the airport is critical to manage on-site airport parking, improve drop off and pick up activities at the terminal frontages and reduce congestion on and off the airport, including on the Grand Central Parkway – the main artery to and from the airport – and nearby neighborhood streets. USA: The Port Authority New York New Jersey (PANYNJ) Board of Commissioners has authorised $57 million in planning funds for the first phase of the PATH system extension to Newark Liberty International Airport, a projected $1.7-billion project that is a key component of the board’s 2017-2026 capital plan and essential to improved regional rail service for the commuting public. Subject to completion of the environmental review process and project authorisation by the Port Authority board, the project would include a new station in Newark’s South Ward Dayton Street neighbourhood, a new rail yard facility and modification of existing platforms at Newark Penn Station to accommodate increased passenger flow. The authorisation provides funding critical to move the project through preliminary design and the required environmental review process. It includes funds for environmental and transportation services, including preliminary engineering work as well as program and project management services. Currently, the PATH Newark-to-World Trade Center line’s western-most point is Newark Penn Station. The project will extend the line west through the Dayton Street neighbourhood in Newark’s South Ward, ending at the Newark Liberty rail link station. Once approved, construction of the extension is expected to begin in 2020 with full revenue service to start in 2026. As a multimodal transportation hub, the new station also will reduce traffic congestion and provide environmental benefits through increased use of public transportation. UK: With over 160 million passengers expected to use London’s airports this year, London Southend Airport has compared data for each of the locations to see which would win in a race to the city. The race started at an origin common to all the main airports and one of the most popular – Amsterdam. It ended at a London icon –the Stock Exchange (or at the platform you would step on to at nearest tube, St Paul’s, when arriving by London Underground). To calculate the race times, London Southend Airport added together the flight time, aircraft taxi time from touch down to gate, walking time from gate to airport exit and public transport from the airport exit to the platform at St Paul’s. This gave a total time for each airport. First was London City Airport, taking 70 minutes in total from Amsterdam to the London Stock Exchange. 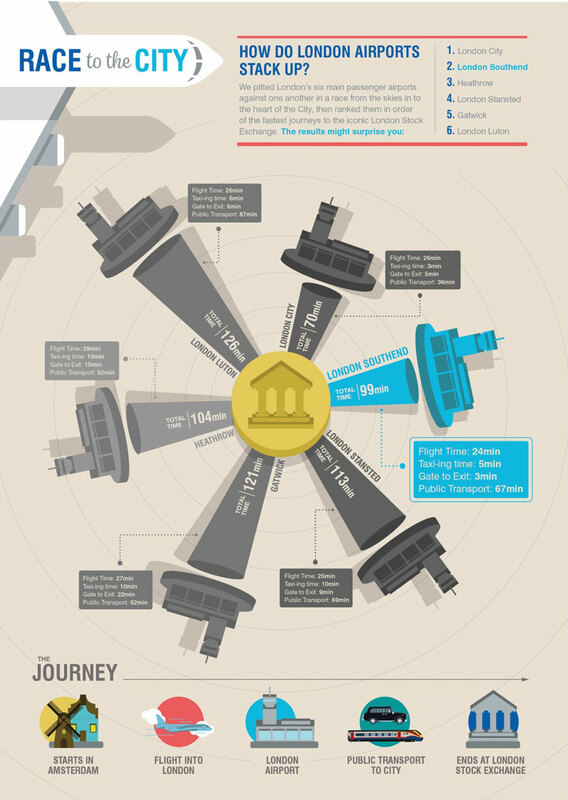 This is based on a 26-minute flight time, 3 minutes of aircraft taxi time from touch down to gate, a gate to exit walking time of 5 minutes, followed by public transport from the airport exit to St Paul’s tube station of 36 minutes. London Southend wasn’t far behind, with a total journey time of 99 minutes, comprised of a 24-minute flight, five-minute aircraft taxi and a walk of just three minutes from the gate. The final leg, 67 minutes of public transport to St Paul’s, is by far the longest part of the journey. Despite the speed and convenience of the Heathrow Express, London’s biggest airport only comes third in this race to the city. That’s down to a lengthy 10-minute aircraft taxi time and a 15-minute walk from the gate, as well as the 52 minutes of public transport needed to get to St Paul’s. In total it should take 104 minutes from Amsterdam. Gatwick was up next with timings as follows: 27 mins (flight), 10 mins (aircraft taxi), 22 mins (walk from gate to exit), plus 62 mins (public transport to St. Paul’s). Total – 121 minutes. Stansted: 25 mins (flight), 10 mins (aircraft taxi), 9 mins (walk from gate), plus 69 minutes to St. Paul’s from Stansted. Total: 113 minutes. And Luton: 26 mins (flight), 6 mins (aircraft taxi), 6 mins (walk from gate), plus 87 mins (public transport from airport exit to St Paul’s – which includes the shuttle bus from the airport to the train station). Total – 126 minutes. Glyn Jones, CEO of Stobart Aviation (which owns London Southend Airport) commented: “I am a fan of London City airport, and am not surprised to see it top the table, but it has some interesting challenges. It only operates half days at weekends, and between the hours of 06:30 and 22:30 during weekdays. A number of aircraft types are restricted at London City because of noise levels and operational constraints. Visibility and wind are a big issue, something I know for a fact, as London Southend takes more than its fair share of the resulting diverts. But that aside, it is an excellent airport serving London’s financial centre well. “I was, of course, very interested to see where our own airport, London Southend, figured in the table in terms of the Race to the City. For me, coming second is encouraging and a good start, but it’s still not good enough. London deserves better. Our flagship airport is, without doubt, Heathrow, yet it is ‘mid-table’, at best, on this all-important metric of getting into London. After all, it’s London the arriving passengers want, not the airport! “So here’s a thought: let’s introduce rail franchises to airports and make it easier for airports to bid for them. At London Southend, we operate our own train station, but what about the rail franchise too? We could tailor the service specifically with the needs of the air passenger in mind, reduce stops, reduce waiting times in between services and reduce further the time into the centre of London. SWEDEN: Arlanda Express has been yet again recognised as a company that provides the best service in Sweden offering land-based transport. This is the fifth consecutive year that Arlanda Express has claimed the top spot in ServiceScore’s nationwide survey among Swedish customers and consumers. ServiceScore® measures how Swedish consumers perceive customer responsiveness and service among companies offering land-based transport. “All companies can offer a high level of service for one or two years if they really put their minds to it. But maintaining a top level year after year requires commitment, which is something that most lack. Our personnel are quite simply outstanding,” says Per Thorstenson, CEO of Arlanda Express. Arlanda Express has also won awards for its commitment in the area of diversity, and its staff speak 25 languages. Can autonomous vehicles replace rail for airport access? USA: Instead of building a rail link to the airport San Jose Mayor Sam Liccardo is considering installing a dedicated lane for autonomous vehicles only. “I agree that light rail should have gone to the airport when that line was built 26 years ago. Now we face a different, and much more expensive, challenge: retrofitting a line that would cost $800 million or more, at a time when we’ve got many other transit projects (BART, Caltrain electrification, Diridon Station, bus rapid transit, and Eastridge light rail). That’s why I’m working with our Department of Transportation (DoT) team to explore some less costly alternatives, including an autonomous-only lane between Diridon and the airport,” the Mayor said answering a letter sent to him from one of the San Jose citizens. Liccardo said he is particularly interested in the route along Coleman from the airport to Diridon. “It makes sense for air travelers looking for a quick, inexpensive way to get to various transit options, and it would help support San Jose as Silicon Valley’s urban center,” the Mayor added. Jim Ortbal, Director of the DoT said that the department is preparing for a Request for Information that is targeted for release in June, asking companies in the autonomous vehicles industry to give their ideas for testing and eventually implementing the system in San Jose. INDONESIA: Construction has started on a 13.5km rail link connecting Adi Sumarmo International Airport and Central Java from Surakarta (also known as Solo). The line will be built by a consortium of Indonesian Railways (KAI), PT Angkasa Pura I, and PT Pembanunan Perumahan. The line will run on 3.5km of existing rail tracks and 10km newly built tracks. Journey time from the airport to the city centre will take 15 minutes. The airport, which currently handles 1.5 million passengers per year, is also being doubled in size. The work on the airport and the rail link due to be completed in 2018. UK: Transport Minister Andrew Jones has confirmed a £173.5 million transport funding package for Leeds, which includes new integrated bus corridors, improved park and ride facilities and better wayfinding. The package also allows Leeds to develop proposals for local rail improvements, including an airport parkway station, subject to wider rail industry consultation. With the support the DfT has now given, Leeds City Council and West Yorkshire Combined Authority (WYCA) will now develop a range of improvements including the proposals for a new parkway station on the Leeds to Harrogate line to serve Leeds Bradford Airport and also act as a park and ride in both directions. The Department for Transport forecasts usage of Leeds Bradford Airport could more than double to 7.1m passengers a year by 2030 rising to over nine million by 2050. Along with improved access by rail, Leeds City Council is also currently considering three options for enhanced road access to the airport with an update to be released shortly. 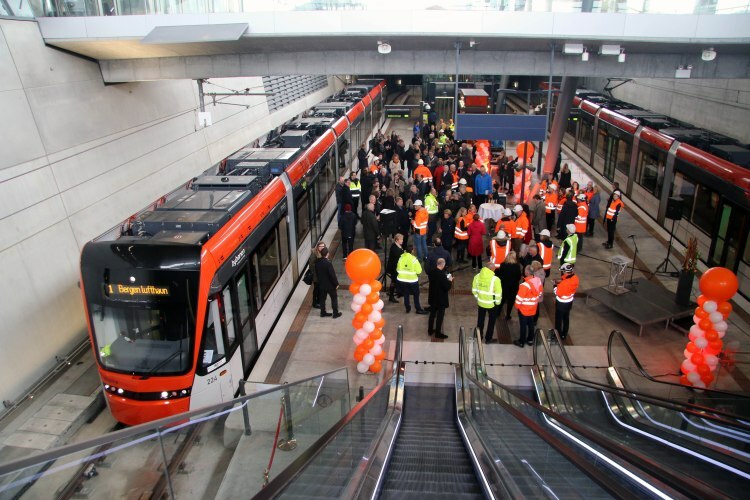 NORWAY: Saturday 22nd April marked the official opening day of the Bybanen light rail line extension to Bergen Airport. “Flesland is the most important gateway to the rest of the country and the world and the opening of the rail line today marks the completion of the Bybanen extension to the South,” City Council representative Anna Elisa Tryti said. The journey from city centre to the airport takes 45 minutes to complete. The new station at the airport is located outside the New Terminal, which is due to open on August 17. The existing terminal is a 3-5 minute walk from the station. The project has created 13,000 jobs and improved access to a community of 9,000 homes. 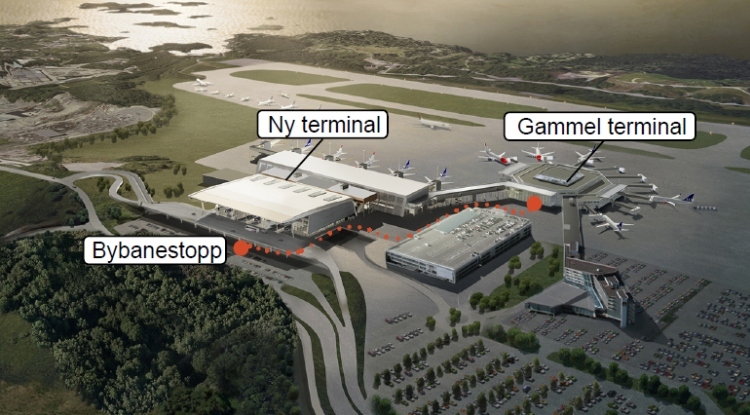 “We have been looking forward to this day, it is an important milestone that Bergen citizens and visitors can now take the Bybanen all the way to the airport. This will be a very affordable way to and from the airport. Besides, the city rail is very punctual, which is an important factor when you are trying to catch a flight. However, for us in Skyss, it is also important to emphasize that the Bybanen is not just an airport train, but is designed for all of those who travel on different parts of the route between Bergen Park and Bergen Airport,” Skyss Sales and Marketing Manager Hanne Alver Krum said. 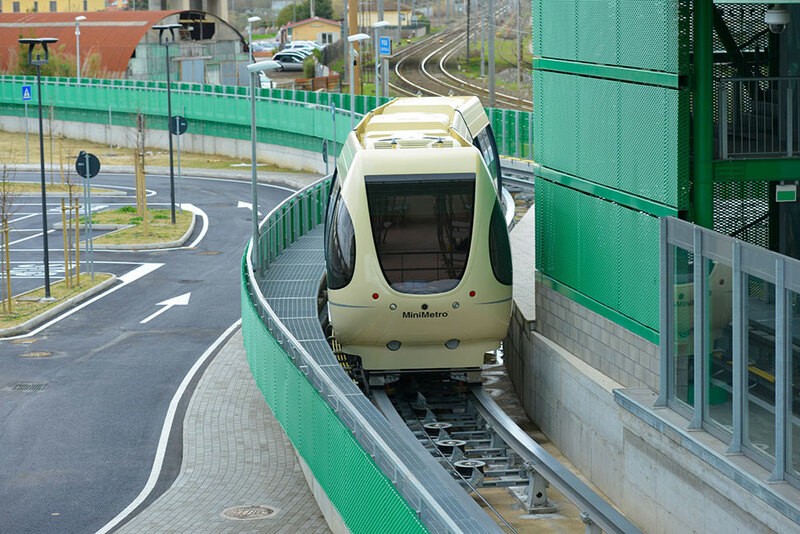 ITALY: A new people mover connecting Galleo Galilei Airport with Pisa Central railway station started operations on the 1.8km route. The journey is 5 min long with an intermediate stop at San Giusto/Aurelia with nearly 1,300 spaces at the two car parks. Trains run between 6am and midnight with peak frequencies of 5 min. A single ticket costs EUR 2.70. The line was built by Condotte Spa, its subsidiary Inso, and Leitner and is operated by a concession-holding company Pisamover S.p.A., which is also responsible for the management of the transport service and the two car parks.